Now that we’re three episodes into Once Upon a Time season three, I have to confess some mixed feelings. I thought the season premiere was just okay, I liked last week’s episode better, but this week I was left feeling disappointed. My main problems with the show this week were that Rumplestiltskin (Robert Carlyle) and Regina (Lana Parrilla) were not part of it. In fact, Rumple was not around at all, and Regina just had a couple of brief scenes. My other main problem was that nearly the entire episode took place in Fairytale Land. Personally I prefer Storybrooke. 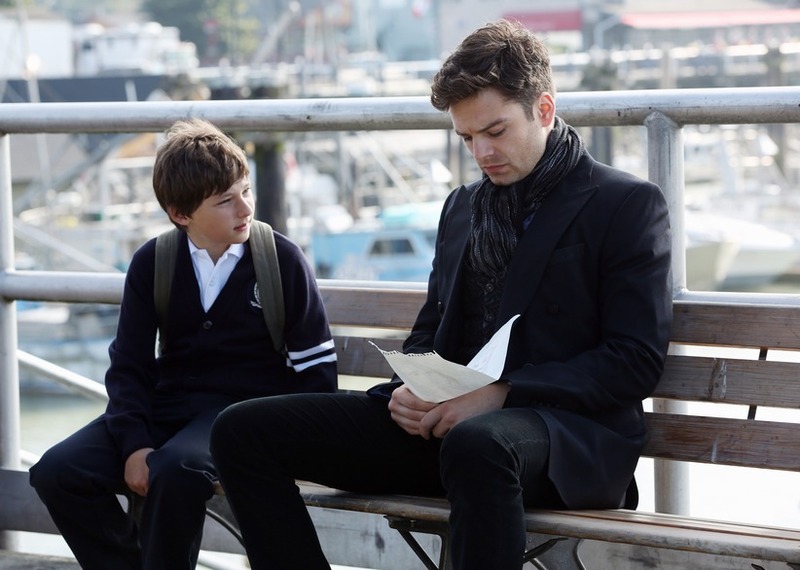 I like seeing how the characters deal with being in Storybrooke and how they relate to each other there. I like their Fairytale lives to be kept to the flashbacks for the most part. Flashing back between current Fairytale Land and past Fairytale Land is not quite as fun as flashing back from the real world. While I like the idea that part of the land was spared from the curse, I’m not entirely drawn in by what’s going on there. 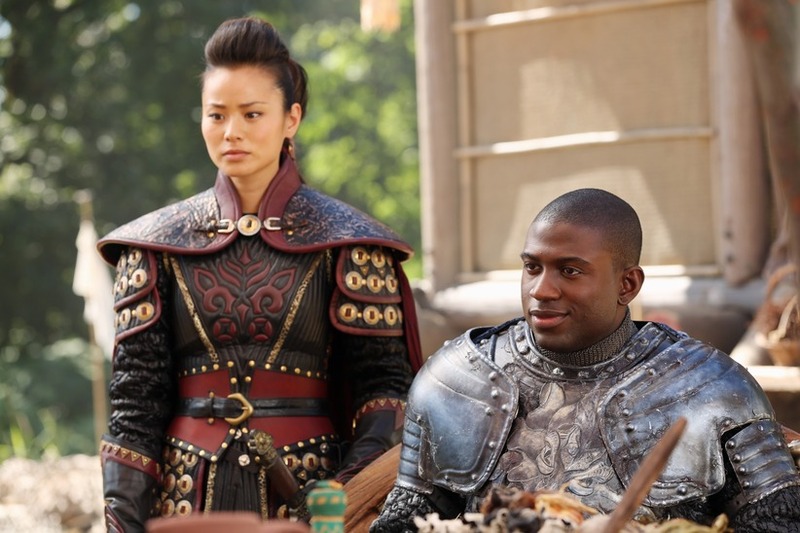 I’m not exactly crazy about the character of Mulan (Jamie Chung). She seems a little boring to me so far. The best thing about the current Fairytale Land is the presence of Regina’s mother, Cora (Barbara Hershey). She’s an enjoyable villain to watch. I’m hoping this season isn’t going to center entirely on Emma (Jennifer Morrison) and Snow (Ginnifer Goodwin) being trapped in that world. I wouldn’t think they would drag that storyline out all season, but at this point it’s hard to say. They are currently trying to get the magic tree that first transported Emma away from the curse to work again. Cora also has some sinister plans for that tree. I can only assume she would like to rule the real world, and take revenge on her daughter. The problem is that last week they introduced some real tension and intrigue into the consequences of the curse being broken. This week didn’t follow up on any of that. Last we saw Rumplestiltskin, he was standing at the edge of town pondering his next move. This week we didn’t see him at all. Last week we saw the memory of one of the seven dwarves was erased. He doesn’t remember his fairytale life. Wouldn’t it have been interesting to see what he was doing, thinking he was just a regular person? Doesn’t he think everyone else is pretty strange? I know this sounds harsh, but for the first time I am a little worried about this show. It seems to be heading in so many different directions, it’s hard to see it all coming together. They are continually introducing new characters, and I have to wonder if that is such a great idea. They’ve barely spent any time with some of the regular side characters that I found interesting, and even some main characters are getting pushed to the side. I am still hopeful they can pull this show together. There is of course a lot of the season left and anything can happen. I just hope they will consider that sometimes less is more. Hopefully they don’t lose sight of the things that made the show great in the first place. 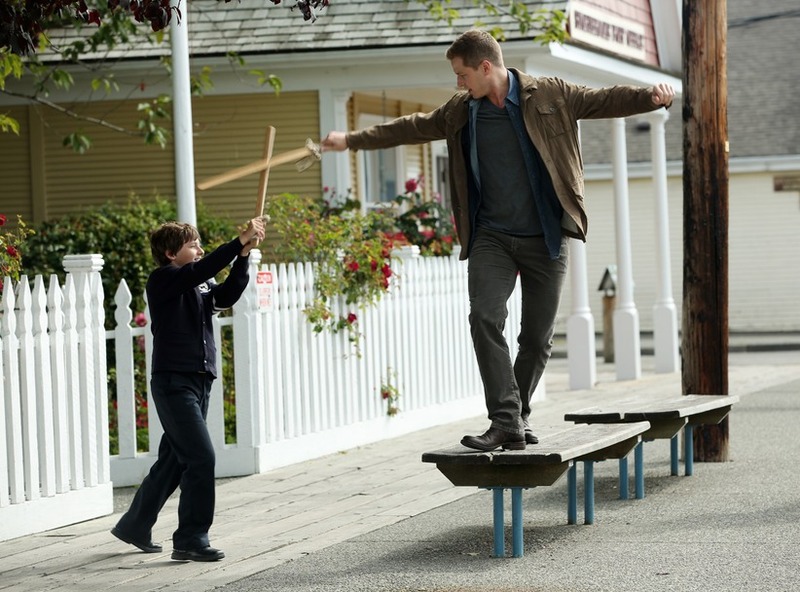 Once Upon a Time is in danger of becoming very unfocused. Maybe the problem is that the show’s creative team isn’t entirely sure at this point what story they are trying to tell. Let’s hope for a quick rebound.